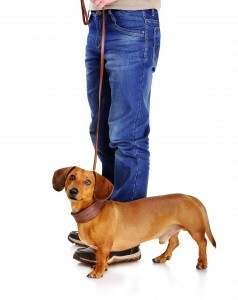 Obedience classes begin with the basics for you and your dog. Attend a drop-in class when it’s convenient for you, and move up at your own pace. Dogs need mental and social stimulation, and group classes are a great way to provide it! Must attend an orientation before attending your first drop-in obedience class. Each novice drop-in class you attend is $35, or you can prepay for six classes for $185. After the first 6 classes attended (or until level 3), the price is reduced to $30 a drop-in or six classes for $165. Intermediate/advanced students can also prepay for 12 classes for $300, in addition to the $30 a drop-in or six classes for $165. All students have six months to complete prepaid classes. Competitive obedience classes are monthly, $100 per month or $30 drop-in if space is available. Novice Obedience classes are for dogs 6 months and older with little or no training. This class is divided into three levels with a drop-in format. Advanced Obedience Classes are for students who have completed all three levels of Novice classes or who have met with the instructor for approval. Competitive Obedience Classes are for students who have completed The Puppy Perfectors Level 3 Obedience classes or have instructor permission. The American Kennel Club Canine Good Citizen® Test is held twice a year at The Puppy Perfectors. Prior to each test, practices will be offered. Reactive Dogs are dogs that bark or lunge when they see other dogs or people. For the safety of everyone in class, only one reactive dog will be allowed at one time in a class.